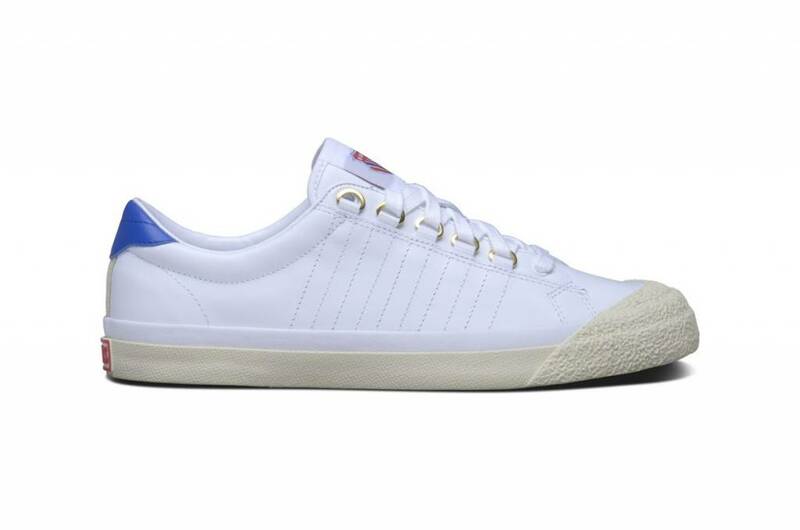 After her debut at Wimbeldon in 1966 as the first leather tennis shoe, the K-Swiss 'Classic' is still a must-have for every sportsman and trendsetter 50 years later. In the year 2016, K-Swiss presents the 'Irvine OG' 50th Anniversary ', a classic look that is made of soft leather at the top and has a solid rubber sole that is finished with a' vintage 'yellowish look . 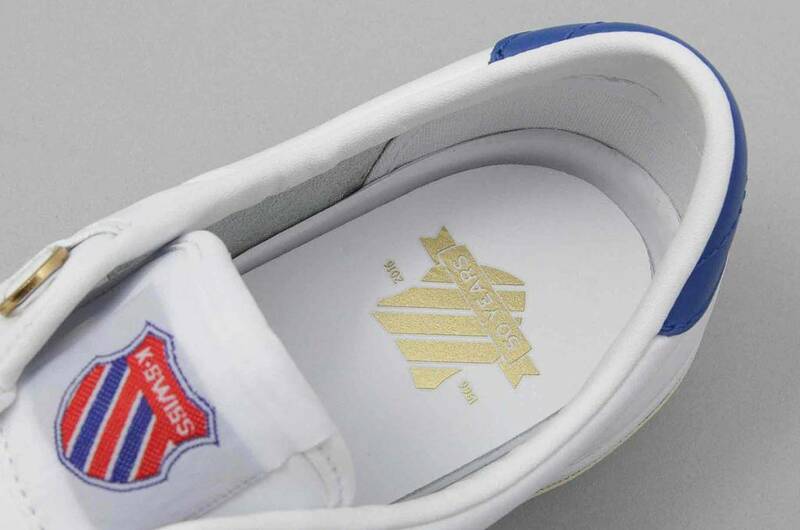 The insole features the golden '50th Anniversary' logo. The K-Swiss brand stands for innovation, quality, sportswear and style. The popular brand was founded in 1966 by the two Swiss brothers, Art and Ernie Brunner. Both brothers were famous skiers and brought this theme back into the design of the model. For example, the five stripes point to the five ties on the skis and the shoe is fitted with D-rings.